2017 sees the launch of our new website, whcih should make it easier for box scheme customers to change their orders, notify us of cancellations, check their balances etc. There may be teething problems though, we would appreciate it if you could let us know if you have any difficulties or have any feedback at all. 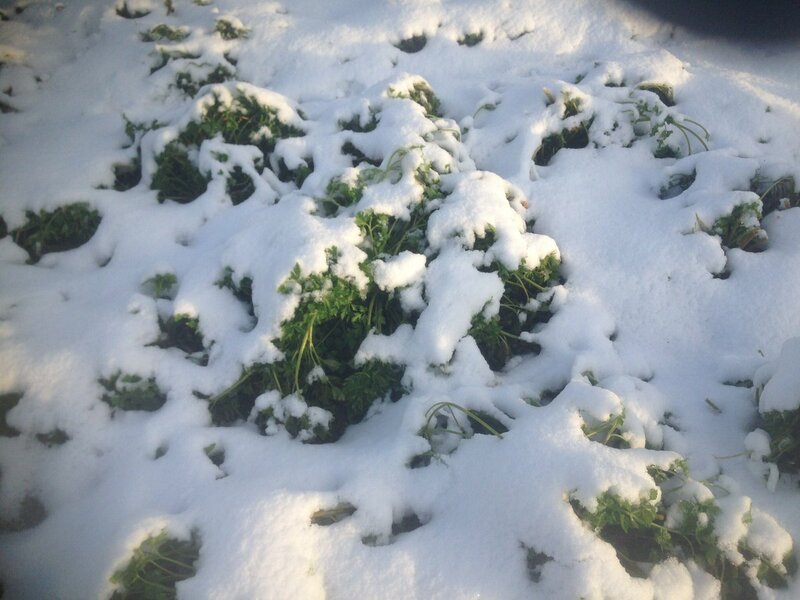 Meanwhile, a pretty picture of parsley under snow, we had a tough time harvesting anything for our markets that day!